Home » NEWS » Crisis Looms As Acting CJN's Tenure Ends In 3 Weeks? Crisis Looms As Acting CJN's Tenure Ends In 3 Weeks? 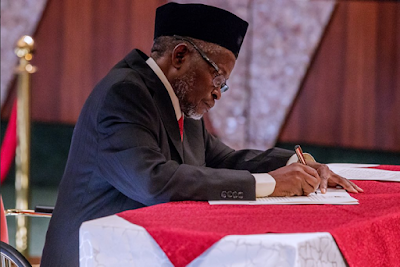 The nation may be plunged into a constitutional crisis in about three weeks as the tenure of the acting Chief Justice of Nigeria, Justice Muhammad Tanko, comes to an end. Tanko was inaugurated by President Muhammadu Buhari on January 25, 2019 following an order by the Code of Conduct Tribunal that the substantive CJN, Justice Walter Onnoghen, be suspended and the next in line of seniority, be sworn in. re-appoint an acting CJN unless on the recommendation of the National Judicial Council. Onnoghen and Tanko are facing a probe by NJC, the body responsible for the discipline and appointment of judges. While Onnoghen was given a query by the NJC to respond to allegations on why he failed to declare some of his assets as required by law, the acting CJN was asked to respond to a query on why he allowed himself to be sworn in by Buhari without the recommendation of the NJC as stipulated by law. 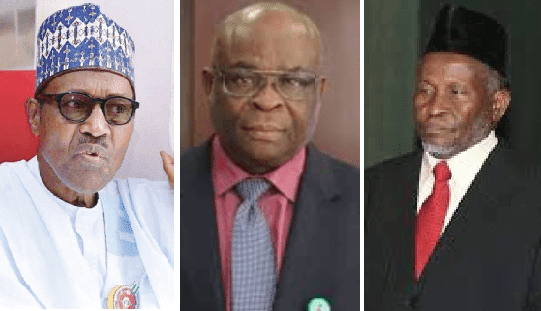 Onnoghen has challenged his suspension before the Court of Appeal but the court has withheld judgment for unknown reasons while the case before the CCT has been given an accelerated hearing. Buhari will only be able to extend Justice Tanko’s tenure if the NJC sends his name to the President for confirmation. He will subsequently be expected to send his name to the Senate for confirmation. However, the Senate led by Senate President Bukola Saraki, is at loggerheads with the executive. Speaking with The Punch, however, Chief Robert Clarke (SAN) said it was too early to speculate as the NJC still have three weeks. Clarke said the constitution is clear that the appointment of judges should be on the basis of seniority and since Onnoghen remained under suspension, the NJC would have to extend the tenure of Justice Tanko, who is also being probed by the council.